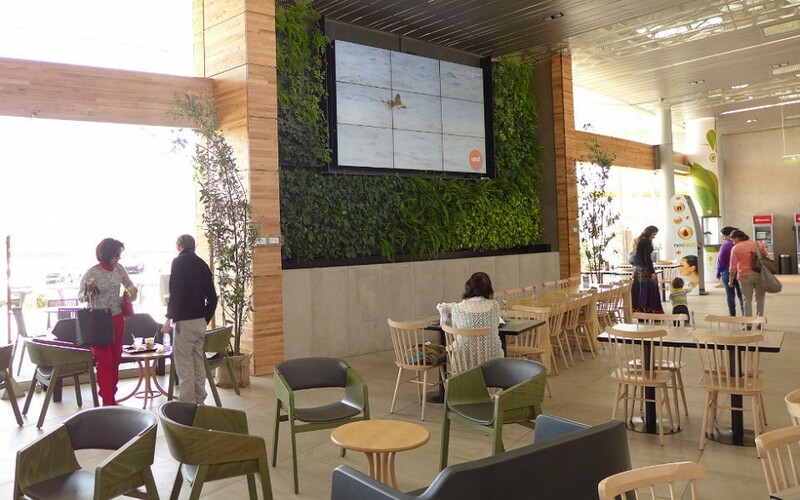 To create a comfortable setting in a multipurpose room that will inspire rest, pause and peace. 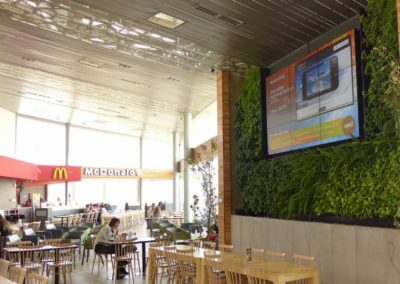 Minigarden is the perfect solution to frame a screen in this highway rest-stop, the quintessential place to take a break. 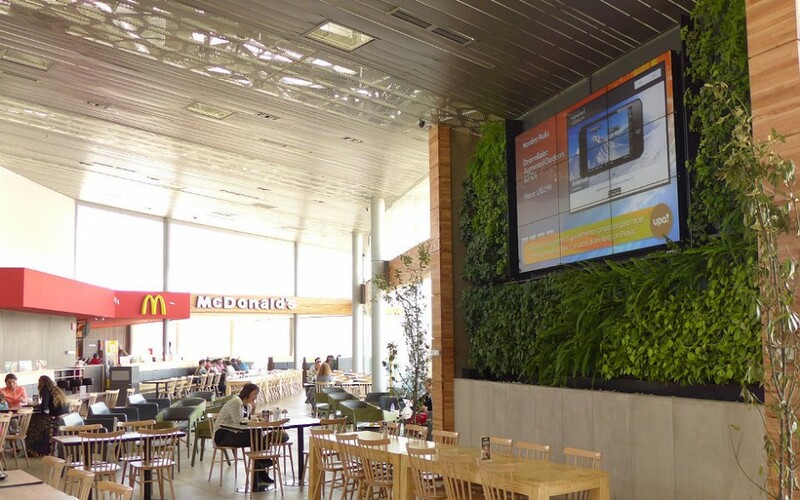 Because Minigarden modules are perfectly fixed, there’s no risk of damage to the screen due to humidity. 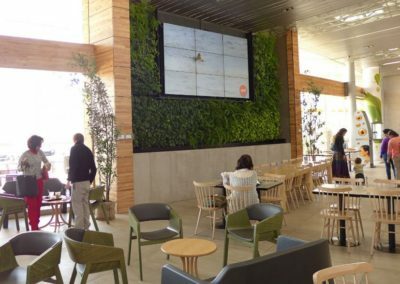 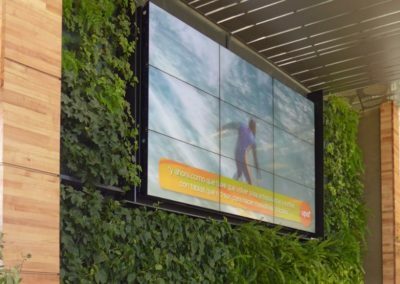 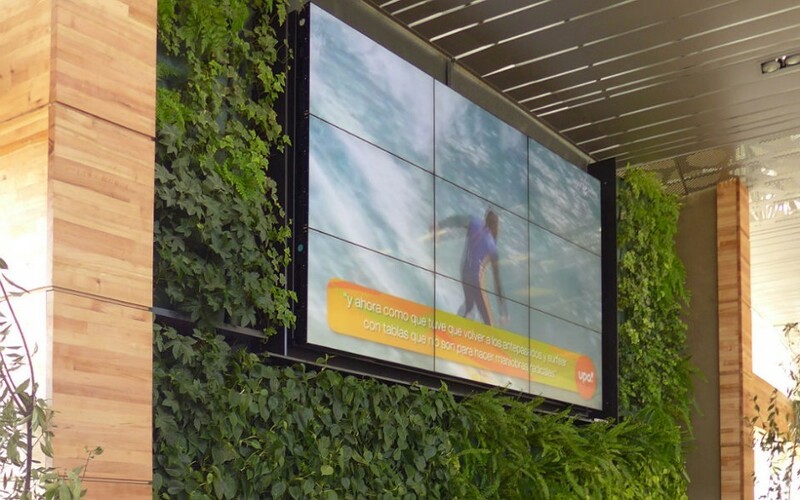 The vertical garden combined with the screen enabled the creation of a mandatory stop where having a light meal is a unique experience — coming back is a need.